Another big name in dry bulk is building a war chest to snap up secondhand bargains. Polys Hajioannou’s Safe Bulkers is embarking on a public stock offering with a par value of $0.001 per share. Proceeds will go on a vessel spree, the company said, with secondhand tonnage targeted. 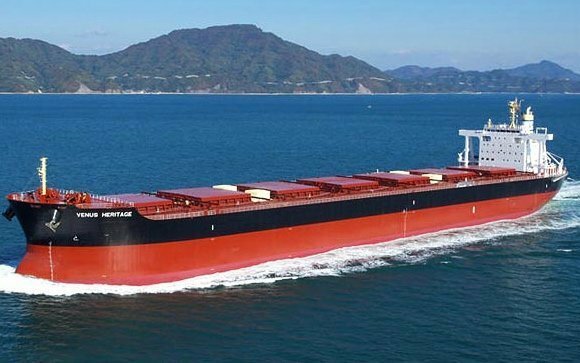 New York-listed Safe Bulkers has a diverse fleet made up of panamaxes, kamsarmaxes, post-panamaxes and capesizes which combined total 3.34m dwt. Many of the most famous names in shipping have set about building bulker fleets this year amid the temptingly low ship price environment. John Fredriksen, Arne Blystad, Andreas Sohmen-Pao are among the shipping giants to have chased bulker bargain fleets this year. John Angelicoussis’s Anangel Maritime Services has been revealed as the year’s biggest bulker buyer, according to analysis from online pricing platform VesselsValue.com. Senior analyst William Bennett noted that dry bulk market values are currently in the lowest 10% of all observed values since the start of 2007. Bennett’s analysis shows that the top five bulker buyers have spent close to $1bn in the past 12 months. “These owners are turning the current state of the market into a financial opportunity,” Bennett maintained. Anangel has spent $247m on 863,200 dwt of ships in the past 12 months. John Angelicoussis has a reputation at picking the bottom of the market, VesselsValue.com noted, citing the moment when following the supercycle in 2007-8 he bought the cape resale Anangel Argonaut at $63.5m. Following this he bought three more resale capes from Scorpio also at a market bottom in April 2015. After Anangel, Eyal Offer’s Zodiac Maritime lies in second place. The Chinese outfit Winning Shipping is in third, Oldendorff fourth and Celsius Shipping in fifth.